This entry was posted on September 13, 2009 at 11:16 pm	and is filed under Maysa, Pictures, post DOC band. Tagged: brachycephaly, ears, Pictures, plagiocephaly. You can follow any responses to this entry through the RSS 2.0 feed. You can leave a response, or trackback from your own site. I’ve been visiting your blog here and there and I have to tell you, your little girl is simply gorgeous. I love her eyes, her little face and hair. And she does look wonderful these days- that helmet was worth it, wasn’t it? Thanks Esther for your kind comment. The DOC bands were all worth it and her head keeps looking better every day, even after graduation. What tops it all though is that she has a character to match all of her cuteness. That’s amazing how much her ears have changed. She’s such a beautiful girl, it’s hard to believe she gets prettier every time you post! Sebastian has one ear that sticks out more so I’m hoping his goes back eventually. I have a daughter who will be 4 months old in 2 days. I have noticed her head flattening at 2 months old after 15 days spent on vacation where she was lying flat on her back 24hrs a day. Like you I talked to her doctor and she said it’ll be ok when she starts sitting and sleeping on her tummy. Worried about it i took her to an osteo but i have seen no progress. Also i have taken an appointment at a hospital for a helmet. I live in France, so there is only one hospital that does it and it is a passive helmet i believe. I have taken pictures myself and measured her CI and i believe it is at 96%. Although you are not a doctor, i would appreciate if you can take a look at her pictures and tell me how severe you think it is. I have an appointment soon and they will measure as well. but i think you can understand how worried i am. Thanks for the blog, it is very helpful. I would be more than happy to look at your daughter’s pictures and tell you what I think (as a parent who’s been through it). Where do you live in France. If you are close to the south, there is a DOC band location in Spain. I don’t know if you’d be willing to make the trip there or not or even if it would be feasible, but the reputation of Cranial Technologies is great. I would carefully look into and find out more about what type of helmet your daughter might be getting. Not all passive bands are bad but they do work differently and correction usually takes longer. You want to make sure that your daughter will be getting the best treatment possible. How can i send you pictures? by mail or post them on your blog? please let me know. I have an appointment in 2 days, i will let you know what kind of helmet they have. I live in Paris and i have heard about the DOC band in Barcelona, it is a bit far and i heard that the treatment requires trips every 2 weeks. I think i will start with Lyon and test their helmet for a month or so and then if i do not see a big difference i will go to Spain. I am willing to do every thing to make that head of hers round! Here is the e-mail address. Thanks you again. It is so comforting to talk to someones who has been through it and has found a solution. Your daughter is so cute and her head is normal now. I got back from Lyon yesterday and the doctor did not prescribe a helmet for my daughter. According to him, her brachy is mild and can go away with time considering her young age. He gave me another appointment in two months to see the progress and consider then the option of a helmet if the deformation is persisting. He recommended to avoid back time, but this is exactly what i have been doing for the last 2 months. Too bad i did not take pictures back then, I started taking pictures a month ago. Although i have to admit that the back of her head is no longer flat (it has only a very small flat spot) i am unable to quantify the change since two months ago, therefore i am unsure of the progress we will have in two months, and in case there is no progress we would have lost precious time. Although he seemed professional and I was reinsured when comparing my daughter to the other babies, I have decided to go to Spain, in Barcelona. I need to organize that very soon or i will miss the good window of 4-7 months. I will keep you posted on the progress. PS: he says that the CI does not mean any thing, it all depends on the size of the head and my daughter has a big head, so her CI is high. It might be a good thing that HE didn’t prescribe a band for your daughter. For him to say that the CI doesn’t mean anything is kind of odd and raises a red flag to me. If your daughter’s head is/looks big, it’s because she has brachy and that’s where a helmet/band might be useful to correct the problem. I know that the trip to Barcelona will be a long one, but I think it will be worth it. They WILL tell you whether or not your daughter needs a band and the photostudy they do will help you see better what the problem areas are in your daughter’s case. I have the same problem. My baby now is almost 1 year, and I’m still struggling and stress also concerning about his head shape because everyone around told me that it will be ok with his age since I start his treatment with kineshiteraphie and we went to osteopath many times. (He has torticollis congenital ) . We stop the treatment when he was 7 months. The kine and pediatrician said that it will arrange with his age. I am living in Luxembourg, and I am searching and searching for the forum who can help me. No feedback at all from several forums;((( I sent some e-mail to ask about helmet or scan. I read the link you gave, they have either in Germany either in Netherlands, or in France. The question is do I need some paper from my pediatrician since my pediatrician does not agree with helmet even she said that my baby has a deformation on his head shape. My baby now is almost 1 year, and I’m still struggling and stress also concerning about his head shape because everyone around told me that it will be ok with his age since I start his treatment with kineshiteraphie and we went to osteopath many times. (He has torticollis congenital ) . We stop the treatment when he was 7 months. The kine and pediatrician said that it will arrange with his age. I just sent you an email, but in short yes, you do need a script to get helmet treatment for your little one. 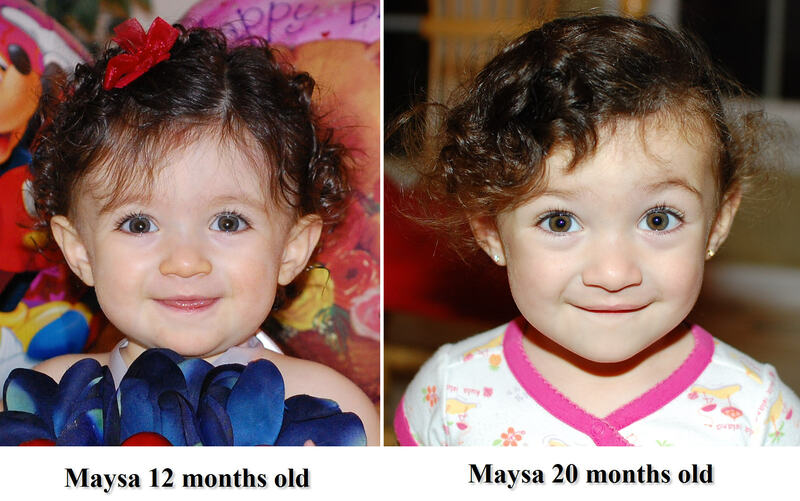 Also, at 11 or 12 months old, head growth slows down and you need to act quickly. Also, you need to make sure that his torticollis is completely resolved before you discontinue treatment with the physical therapist.